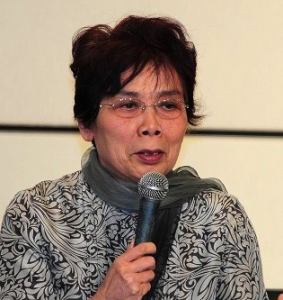 She was born in 1942 in Chongqing, where her parents had fled, but educated at Beijing girls college of the Normal University and then in 1960 at the Research Institute of Chinese opera. Three years later, she was sent to work in the office of the artistic Sichuan opera troupe. Her troubles began when were found notebooks in which she criticized the conceptions of Jiang Qing, wife of Mao Zedong, which imposed a limited number of “revolutionary” operas. She was sentenced to twenty years hard labor but will be rehabilitated in 1979 after ten years. Zhang Yihe continued her research on Chinese opera and published in 2004 a memoir about her father and his friends: “A past is not like smoke.” This document, which has been translated into French (Editions You Feng, 2009) has two versions, one published in Hong Kong and a widely censored Chinese version, which also undergoes a “slow”ban ” (no additional run). In 2005, she published an account of the sufferings of the Beijing opera masters, Ma Lianlang and Mei Lanfang. The book is banned, a “fast” ban (blocked when released); the same goes with a document published in 2006 “Old stories of Peking opera stars” on the persecutions during the Cultural Revolution. The ban by the GAPP (General Administration of Press and Publications) clearly states that it is the author and not the content of the book which is censored; the editor is also fined. The protests of the author and by some media as well as legal procedures will not change anything! From 2011, she will publish three long stories, a transparent fiction about her life in a rehabilitation farm and portraits of inmates; the view of an already older woman on her youth as a political prisoner forty years ago. “M adam Liu” (2011), a run of 300,000 copies, will have reprinting prohibited despite a big hit with critics and audiences. Madam. Liu, a poorly educated prisoner, has to recount her life to Zhang Yihe who has to write her “reform record.” Madam. Liu, was married to an epileptic, will kill him and cut the body to pieces in order to keep it in brine. A complex personality who will not hesitate to rescue several prisoners during a fire while officials had already fled. As sometimes in the other stories, the tone is very distanced which gives the novel a somewhat superficial feeling. We are far from the realism and harshness found in authors such as Liao Yiwu or Zhang Xianliang. This impression is reinforced by very brief background information on the living conditions or the farm environment. She probably does not keep good memories of the beautiful tea plantations in Sichuan which she had to spray with anti fungus. “Madam Yang” (2012), censored upon publication, is a very different story. Yang Fenfang is a pretty peasant, in love with He Wuji, the son of a landowner who wants to marry her. Her family organizes meetings with an army captain, a much better match who took her to visit Shanghai, where she will find herself married. He Wuji wounds the husband and is sentenced to death and Yang Fenfang to twenty years for adultery. In this farm in Sichuan, the political commissar Li is attracted by the prisoner, two years in a secret affair … who will not remain unknown. Camp life is rendered in an interesting way but not the love dialogues between the characters which are often dull and even sometimes worthy of a photo romance! Moral, a little primitive, is that her beauty was the source of all her misfortunes. “Ma dam Zou” (2014), was also banned in China upon release. The life of a labor camp is certainly not a topic favoured by censors, but homosexual relationships between author-narrator and Madam Zou is a theme that is also addressed with caution in China. Relations with Zou Jintu who has been labeled daughter of rich peasants and is sentenced to twenty years for the death of an ox, which she would have killed out of revenge when everyone knew that it had died of old age. But also relations between the mother of Zou Jintu with Liu Jiu, the maid, after the death of the father considered corrupted as he owned a pharmacy. The second part of the novel, in the farm, shows the relationship between women of different nature, jealousies, insults, abuse by supervisors and widespread sexual repression. This novel, in my opinion, is the best of the three; lively dialogues, strong characters including the heroin and the sincerity, very autobiographical of Zhang Yihe, well rendered by the translator of the three books, François Sastourné (to whom we owe the translation of a good novel by Su Tong, “The Riverbank”). Thirty years after her rehabilitation, Zhang Yihe is still pursued by censorship and the “rightist” history of her family. Censorship certainly has no longer the violence it had under Mao Zedong but it is unwise to write as some are doing that it mainly concerns film and television, and that literature is much less controlled. 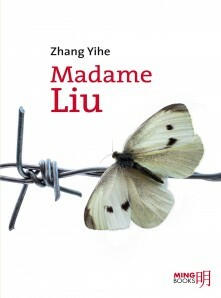 Zhang Yihe, “Madam Liu”, translated into French by François Sastourné; Ming Books, 2013, 140 pages, 16.90 euros. 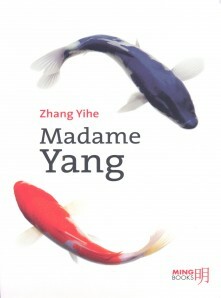 Zhang Yihe, “Madam Yang”, translated by François Sastourné; Ming Books, 2014, 260 pages, 19.90 euros. 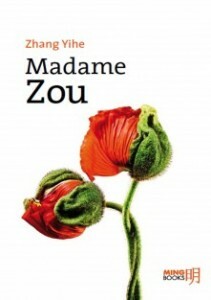 Zhang Yihe, “Madam Zou” , translated by François Sastourné; Ming Books, 2015, 220 pages, 17.90 euros.